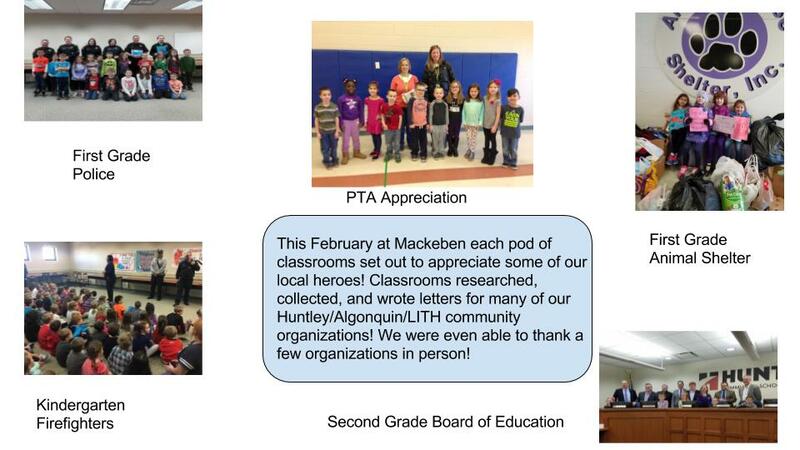 Mackeben Elementary School students and staff honor a number of local heroes within the community during the months of February and March. Each of the school’s pods adopted a community organization to research to help students gain an understanding of the importance of local community support. Students wrote letters and cards to honor these “heroes” and thank them for what they do. Mayor of Huntley and Village Manager’s Office.